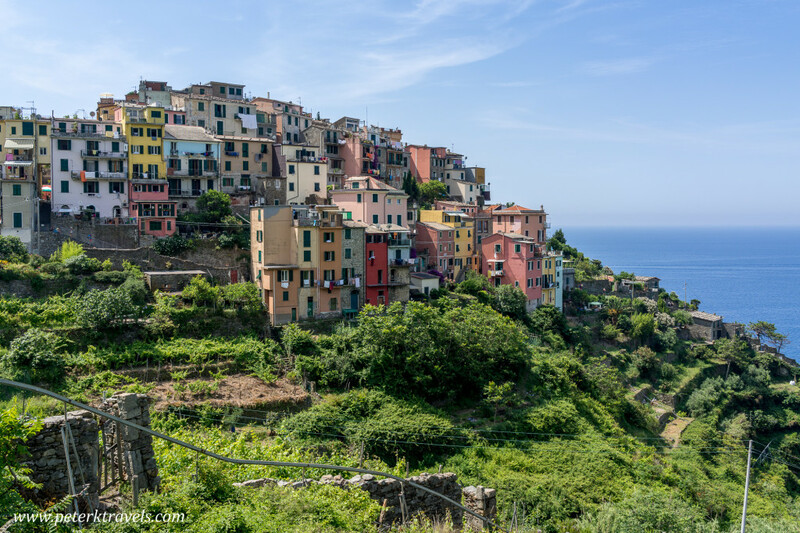 During our summer trip to Italy, we spent four nights along the Ligurian Coast in the Cinque Terre. 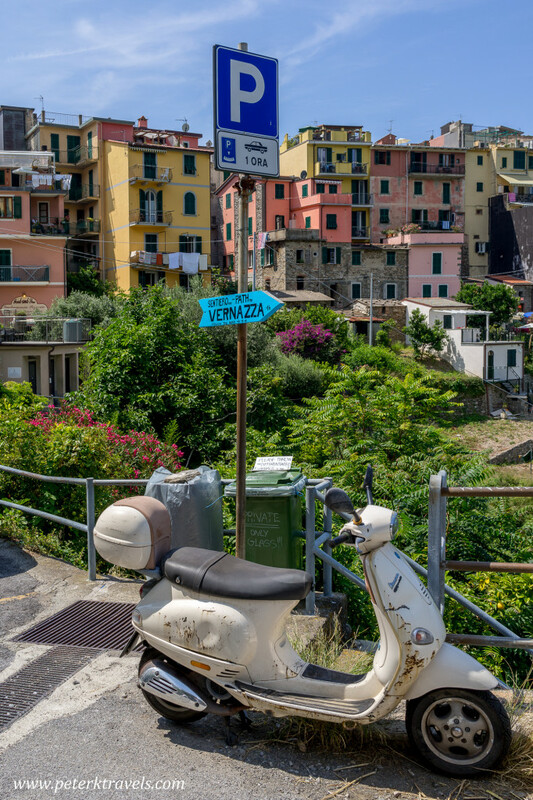 Although we stayed in Vernazza, we made a point of visiting all five villages. 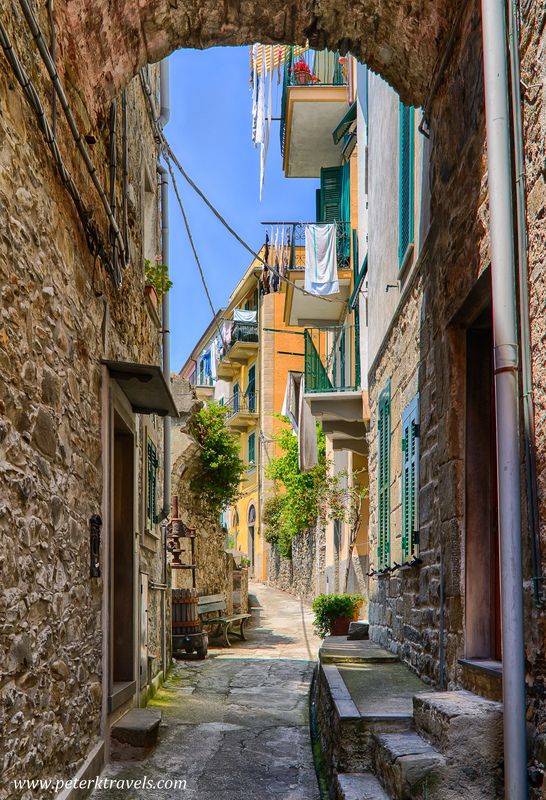 Corniglia is the only village among the five that doesn’t sit on the water. The villages aren’t far apart, and it is possible to hike from one to another. 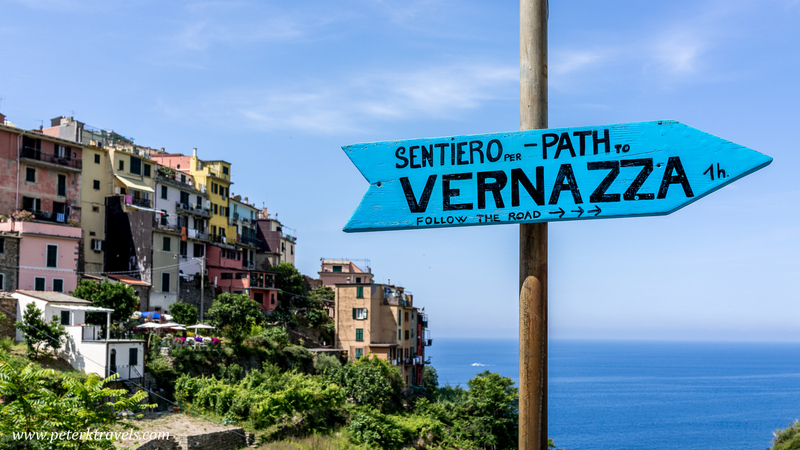 One morning, we decided to hike from Vernazza to Corniglia. 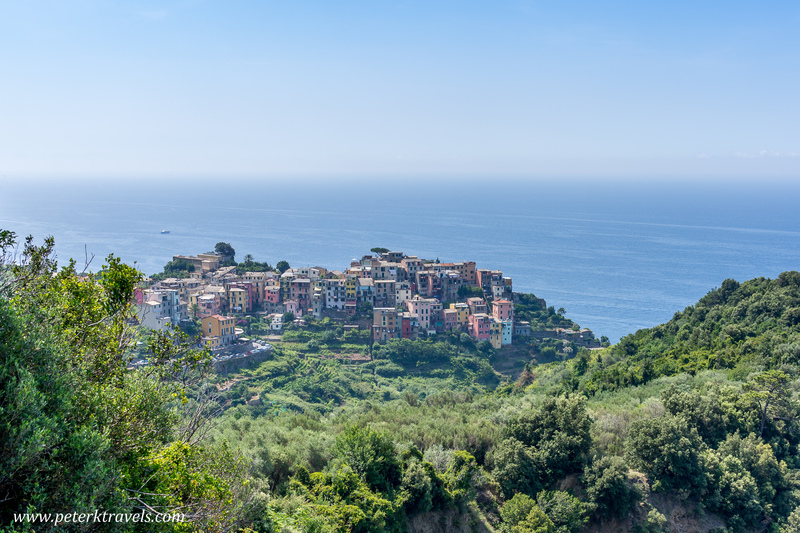 The views along the way were fantastic, and as we approached Corniglia, we could see the village nestled in the hills. After arriving, we had lunch at a small cafe. 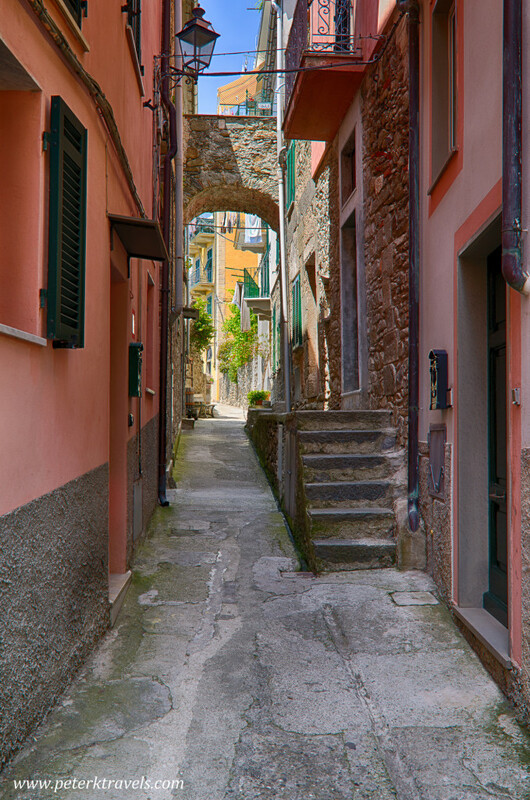 Later, we walked through the town, shopping and taking photos. 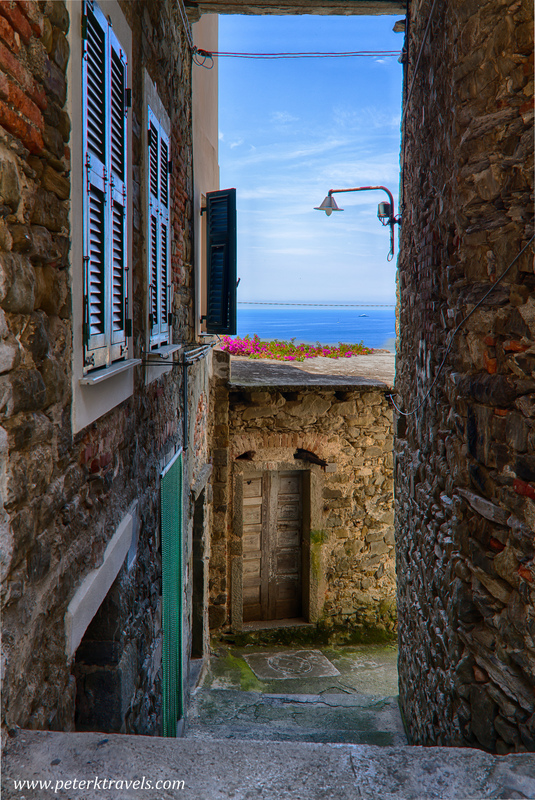 I like old doors, narrow paths with laundry hanging, scenes like that — and Corniglia was full of those views. 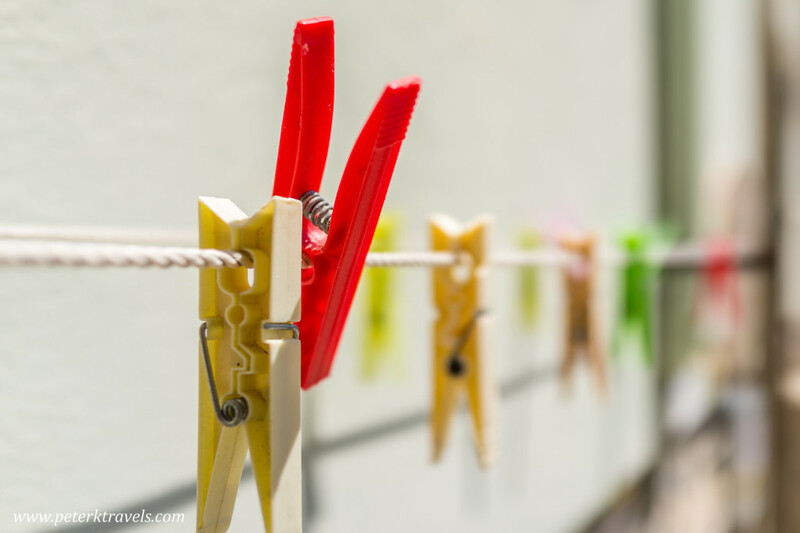 It was particularly suited to vertical photos. 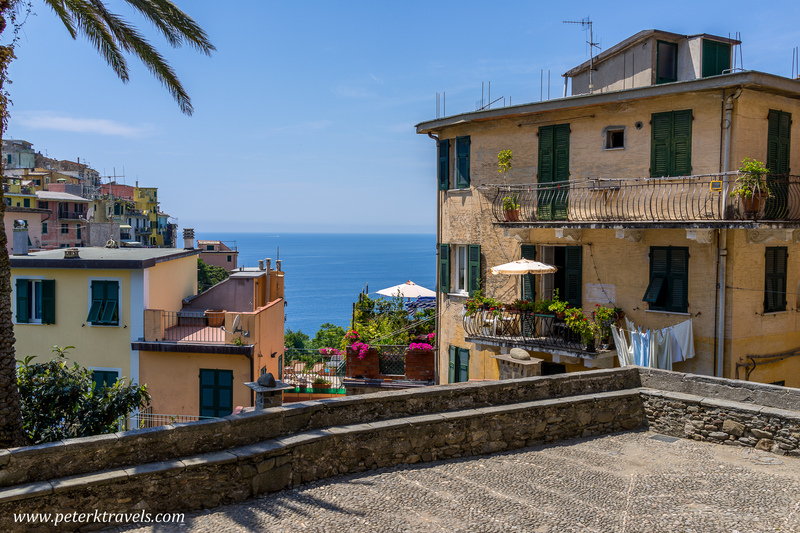 Here’s a few more photos from Corniglia, I hope you enjoy them! 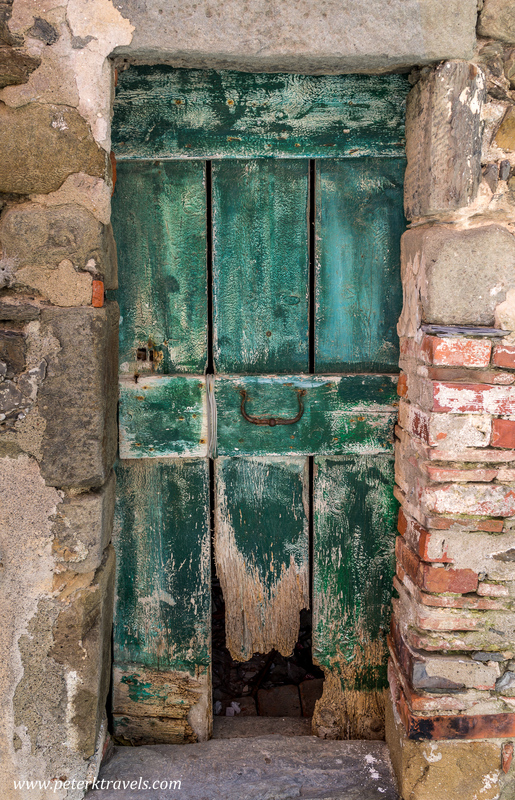 Weathered door in Corniglia, Italy. 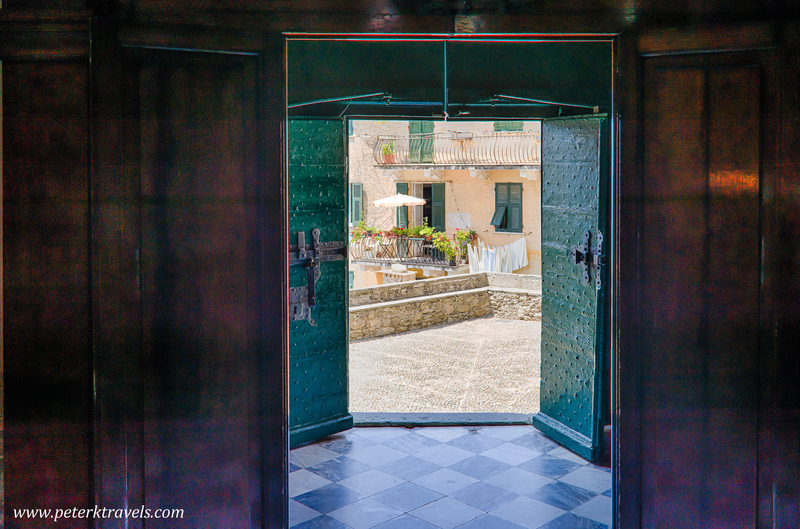 Looking out of a double set of church doors, Corniglia, Italy. 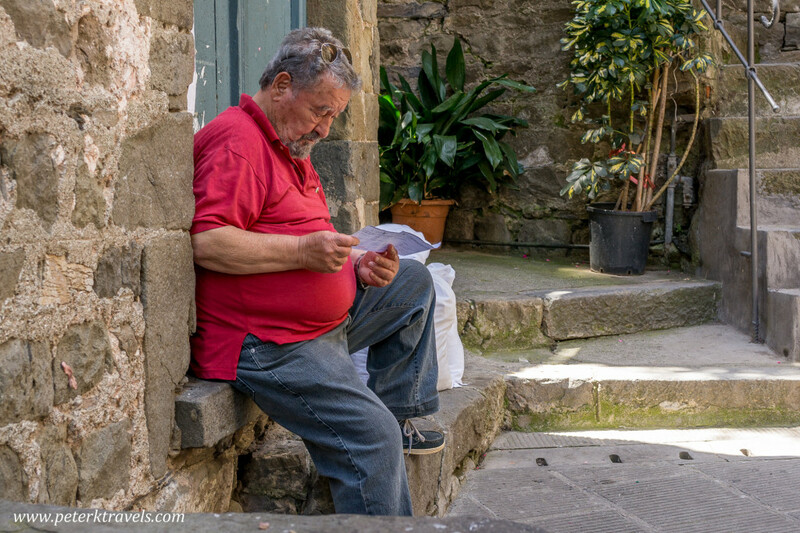 Man relaxing in Corniglia, Italy.